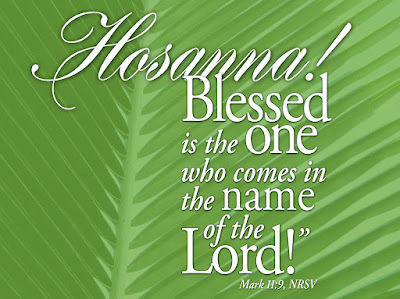 Palm Sunday is a rather odd day. 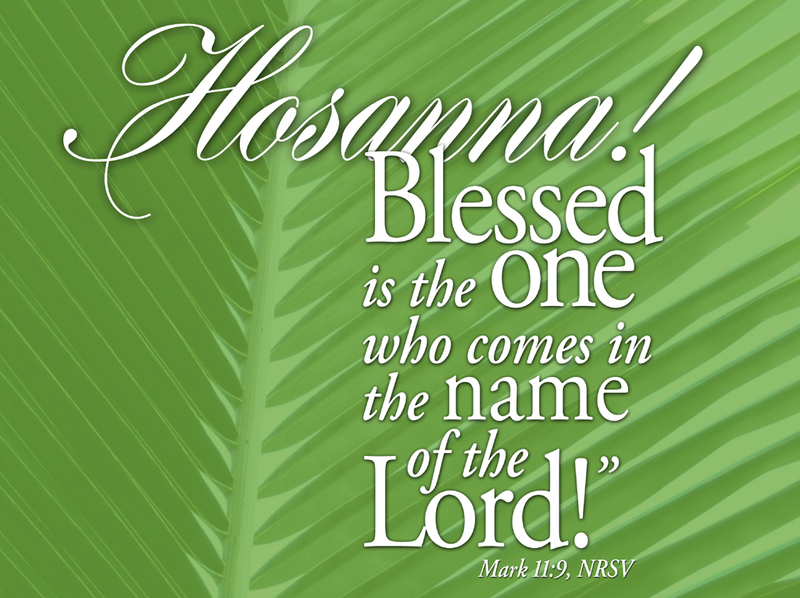 We wave palms and celebrate as Jesus enters Jerusalem in triumph. We hail him as king of kings and son of David. But the “rest of the story” hangs in the air around us. We remember the ease with which we misinterpret signs and fail to see underlying currents. The parade stirs our hearts, but it’s not yet the final triumph; we must go through Good Friday. There we discover that God is not only present in moments of glory, but even more powerfully in moments of suffering and despair. * What motivated those crowds? What were they seeking? * What motivates you? What do you seek from Jesus? * How would you respond if someone said to you, “The Lord has need”? * What might the Lord need from you this week? For the Week: What wondrous love is this, O my soul! Blessing to Share: Blessed is the one who comes in the name of the Lord. For mealtime say responsively: Let every tongue confess: Jesus Christ is Lord. If we skip from Palm Sunday to Easter, without stopping to ponder the cross then we will have misunderstood the whole thing. Take some time each day during the coming week to reflect on the story of Jesus’ passion from the Gospel of Matthew. The Daily Bible Readings (above) break it into segments for you. We will also post a part of the story on the website, on Facebook and Twitter each day with a reflection question or two. Share your thoughts and prayers with others. Read the daily scripture slowly, pause, and read it again. Attend services on Maundy Thursday, Good Friday, and the Vigil on Saturday. After washing the disciple’s feet, Jesus tells them to do the same to others. Then he says to love one another as he has loved. How can you show your servant’s heart this week?